The above movie, Mr. Christmas, is reviewed here. Looks like a wholesome Christmas classic! I hope you are done with your shopping and wrapping, so you can curl up with some cocoa, popcorn, and Christmas movies for a few nights this week and next. There’s no shame in watching Christmas shows after Christmas! Here are some of my favorites. Of course I am assuming you already know and watch It’s A Wonderful Life, Miracle on 34th Street, the Grinch, and the George C. Scott and Albert Finney Christmas Carols. Let’s talk about lesser-known Christmas movies and TV specials! OK, before I dive in to describing some Christmas shows, watch the comedy sketch above by Studio C about what happens when a little boy gets too greedy for Santa. It’s a cross between Edgar Allen Poe’s The Raven and ‘Twas the Night Before Christmas. So funny! Have you ever wondered the story behind the song, Silent Night? BYUTV made a movie about it. You can watch it here. It’s an amazing story about a priest who went against the grain to form a church choir full of outcasts, to sing a song in German instead of Latin. The trailer is above. Next is the Walton’s Homecoming. I watched this with my kids a few years ago and found it to be heartwarming. Now that I have adult children who have left home and come back for Christmas and other occasions, homecomings mean a lot more to me! 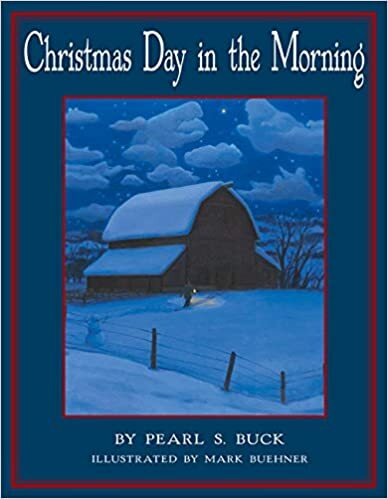 The Gift is an LDS produced video based on a short story by Pearl S. Buck. Read the picture book based on the story and then watch the video above. 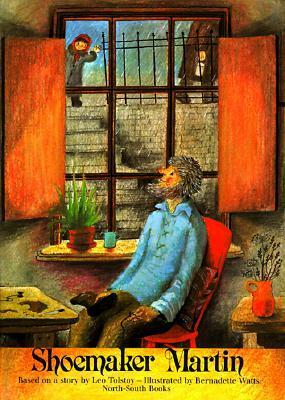 The picture book is illustrated by Mark Buehner. I love his pictures. He usually does more humorous picture books like Fanny’s Dream and Balloon Farm, but with this book he shows a more subdued, yet still lovely style. This book makes me cry every time I read it. I always have to pause and regain my composure when I read it aloud to my kids. It is such a beautiful story of giving selflessly. It completely captures the love between parent and child, specifically, father and son. It shows that we can still give much appreciated gifts, even if we don’t have money, if we just give it some thought. I can’t forget Mr. Kruegar’s Christmas with the big name of Jimmy Stewart. Watching this Christmas special takes me back to the early 80s when the LDS Church first released it. It reminds me to look out for the lonely who just want some some human interaction, the best gift of all. Then we have The Other Wise Man, based on the short story by Henry Van Dyke. Here’s one that looks adorable, Christmas Snow. I have not watched it yet but it seems promising. We will be watching it sometime soon! It features a very young Melissa Joan Hart as a little girl and Sid Caesar as a curmudgeon. John Denver is one of my favorite singers and the Muppets are some of my favorite entertainers. I am still sad about John’s death which happened right after my husband and I decided we would buy some John Denver concert tickets the next time we heard he was coming somewhat close to where we lived. Can you tell I am on a Muppet kick? I absolutely love this Muppet Family Christmas special. It’s so full of love and laughter. It really fills my heart. The Muppets bring back fond memories of my childhood. Two years ago the Muppets got to perform a Christmas concert with the MoTabs and Santino Fontana! Here they are singing that song, Keep Christmas With You, above. I got to be there with my dh and two kids. It was truly magical. One of my homeschool mom friends sang/sings in the choir. You can get the full show here. Here are two videos about the backstage process for that event with some of the puppeteers. Moving on from the Muppets…another year I got to go to the annual Christmas MoTab Christmas concert and see John Rhys-Davies (Gimli from the Lord of the Rings) perform “A Dickens Christmas” with them. That one was magical too! The video below shows a condensed version. OK, I am done with music concerts and going back to drama. Here we have Samantha: An American Girl Holiday. It’s a great made-for-TV-movie about giving and thinking of others. This was one of AnnaSophia Robb’s first acting roles before she made it big. I haven’t watched the above one yet, A Christmas Memory, but it looks good because it has Patty Duke. I was sad to hear about her death as well. I always thought she was a great actress. These last two aren’t movies but I am still posting them just because they are so fun. Here’s a clip from the Andy Griffith Show Christmas episode. I can’t find the full one on Youtube this year, but maybe you will be more lucky. We watched it a few years ago as a family. Mayberry means a lot to me, because the real city that Mayberry is based on, Mt. Airy, North Carolina, is one of the places my firstborn labored in for his LDS mission.So he has pictures of the Andy Griffith musuem. OK, enough digression. Watch the clip of Andy singing Away in a Manger with Elinor Donahue above. So sweet! I plan on watching the above TV special, The Sounds of Christmas, on my iPad with two of my favorite singers, Julie Andrews and John Denver while I finish baking tomorrow. It’s filmed on location in Salzburg with John Denver singing and skiing. Wow, I can’t wait! OK, Christmas prep duties are calling, so I am going to have to stop, but there are a ton more out there on Youtube, especially from the Hallmark Channel. Just go here and you will see. Enjoy and Merry Christmas!